Welcome to Fox Meadow Farm of Vermont! Fox Meadow Farm of Vermont offers a unique line of all-natural gourmet salsas, shelf stable hummus, premium mustards, pancake mixes, flavored sugars, horseradish jam, maple pumpkin butter and other specialty foods. Our products are handmade in small batches without artificial preservatives or ingredients. Spring is in the air. April and the snow is melting. Start out with some Salsa and Chips on the deck for some springtime fun. All Salsa's are on sale this month. 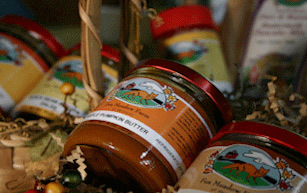 Get 10% OFF ALL Fox Meadow Farm Salsa products for the month of April. We now offer a flat rate shipping price based on the number of items you purchase. For example, rates start at just $6.00 for up to 4 items purchased for most east coast states. We've created a Shipping Rates page so you can see the new rates. Find recipe ideas using our products throughout the Fox Meadow Farm of Vermont website.